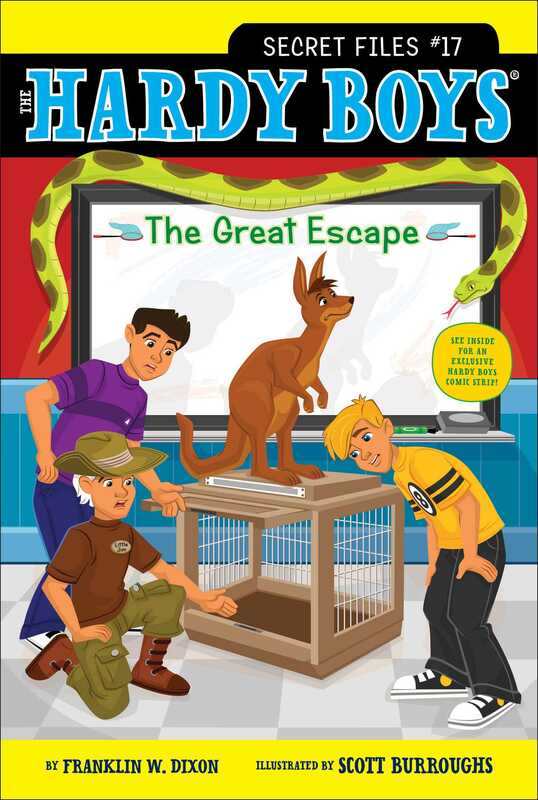 When wildlife celebrities come to Bayport Elementary, Frank and Joe are soon on the case of a missing snake in this Hardy Brothers Secret Files adventure. Jumpin’ Jack and his son, Little Jim, have been on television for years, taming tigers and wrestling alligators, but now they’re bringing their traveling menagerie to schools—and Bayport Elementary is next! During the event, they show students a baby kangaroo, a boa constrictor, a flying squirrel and other exotic animals. Frank, Joe, and their friends are all having a great time, until they realize Bubba the Boa is missing! He’s not in his cage or in Jack’s giant van. Can they figure out what happened to this slippery snake before it’s too late?